Federation has successfully pursued a number of positive changes to Special Religious Education (SRE). The most significant change relates to the enrolment form. Federation pushed for a departmental review that has resulted in the removal of SRE from the enrolment form. In its place, a generic letter will be sent informing parents of all the options available at their school. This means parents now will be able to choose between ethics, religious education or non-religious activity on a single form. 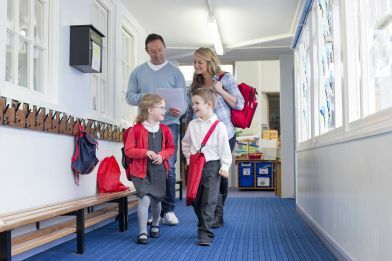 These simplified procedures should reduce the workload of principals (the Primary Principals’ Association and Secondary Principals’ Council were supportive of the changes) and parents will receive much clearer information about the options for their children — most notably, the ability to choose ethics and opt out of SRE. These changes should also result in a much clearer process for schools, greater transparency and accountability for the SRE providers and more clear and fair options for parents. A new departmental SRE/Special Education in Ethics (SEE) fact sheet and flow chart clarifies the processes for schools and makes it clear that no child can be enrolled in SRE without written consent from their parent or care giver. This has been an issue previously and it is now explicitly clear in the Department’s documents that this should not occur, stating “if the student starts school before the return of the participation letter, the student is to participate in alternative meaningful activities pending a response”. Although the changes are positive, there are still a number of ongoing SRE issues that weren’t addressed. Most notably, that it is the responsibility of the SRE provider, not the Department of Education, to authorise the instructors, content and materials used by SRE — meaning the Department has little to no oversight over what is occurring in SRE classes. For years, members have been raising concerns about what is being taught to students in SRE, the quality of the instructors and the antiquated departmental policy that prevents students who are not attending SRE from participating in academic instruction or formal school activities. Federation’s policy is that NSW public schools must be completely secular in order to provide for students from diverse cultural, linguistic and religious backgrounds. Additionally, requiring time be made available for SRE, takes away the opportunity for teaching time, professional learning and extracurricular activities from an already crowded curriculum and school day. Federation asserts that all education (religious or not) should be done in line with an approved curriculum and by a qualified teacher, and will start a campaign to amend the 1990 Education Act in regards to the removal of mandatory SRE. On 23 November, 2018, the Department released a memo to all principals outlining the changes to SRE. The memo explains the schools and SRE providers’ responsibilities and makes it clear that “the new participation wording and language used in this letter is adhered to by school principals”. The memo also refers to the Department’s updated Special Religious Education Procedures, an implementation document for religious education policy in schools. Teachers cannot be required to attend on a regular basis, as if there are issues with the SRE instructor, content or behaviour management then the school needs to contact the provider and have the issues dealt with. A reminder memo was also sent by the Department to all principals in term 1 2019. The memo reiterates the previous advice and reinforces that schools are responsible for providing access to current information about SRE/SEE. This information should be on the school’s website and include links to the approved provider’s curriculum and information on alternative meaningful activities. If members feel that schools or SRE providers are not adhering to the policy procedures, they should contact their local Organiser. Federation proudly celebrates diversity and welcomes all faiths and all religions. Federation supports general religious education, which is taught by qualified teachers and is an important part of the curriculum that is approved and endorsed by the Department. As always, Federation will continue to pursue the Department to put the best interests of our students first, and consult with members, to look at how changes or the removal of SRE can be best accommodated in our school system.